Lenvatinib (Lenvima®) is an oral small molecule inhibitor of multiple receptor tyrosine kinases, and is approved for the first-line treatment of patients with unresectable hepatocellular carcinoma (HCC) in the USA, EU, Japan and China. The approval of lenvatinib was based on results of the randomized, open-label, multinational, non-inferiority phase III REFLECT trial in patients with unresectable HCC, who had not received treatment for advanced disease. In REFLECT, lenvatinib was non-inferior, but not superior, to sorafenib (current standard of care) for overall survival (OS). However, lenvatinib was associated with significant improvements compared with sorafenib in terms of all secondary endpoints [higher objective response rate (ORR), and longer progression-free survival (PFS) and time to progression (TTP)]. Lenvatinib had a generally manageable tolerability profile in REFLECT, with the most common treatment-emergent adverse events being hypertension, diarrhoea, decreased appetite and decreased weight. Given its non-inferior efficacy to sorafenib and manageable tolerability profile, lenvatinib represents a long-awaited alternative option to sorafenib for the first-line systemic treatment of patients with unresectable HCC. Further clinical experience may be required to fully define the position of lenvatinib in this setting. 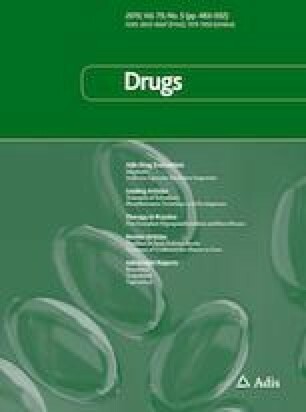 The manuscript was reviewed by: G. G. Di Costanzo, Department of Transplantation, Liver Unit, Cardarelli Hospital, Naples, Italy; M. Fukudo, Department of Hospital Pharmacy and Pharmacology, Asahikawa Medical University, Hokkaido, Japan. During the peer review process, the manufacturer of lenvatinib was also offered an opportunity to review this article. Changes resulting from comments received were made on the basis of scientific and editorial merit. National Comprehensive Cancer Network. Hepatobiliary cancer (NCCN clinical practice guidelines in oncology). 2018. http://www.nccn.org/. Accessed 26 Mar 2019. European Medicines Agency. Assessment report: lenvima (international non-proprietary name: lenvatinib). 2018. http://www.ema.europa.eu. Accessed 26 Mar 2019. European Medicines Agency. Lenvima (lenvatinib): summary of product characteristics. 2018. http://www.ema.europa.eu/. Accessed 26 Mar 2019. US FDA. Lenvima® (lenvatinib) US prescribing information. 2018. http://www.fda.gov. Accessed 26 Mar 2019. Eisai Inc. Lenvima® (lenvatinib): Japanese prescribing information. 2018. http://www.pmda.go.jp/. Accessed 26 Mar 2019. Eisai Inc. Lenvima® (lenvatinib mesylate) capsules: Chinese product specifications. 2018. http://202.96.26.102/index/detail/id/543. Accessed 26 Mar 2019. Eisai Inc. Eisai to present results of post-hoc analyses of Lenvima® (lenvatinib) phase III REFLECT study in hepatocellular carcinoma at 2019 grastrointestinal cancers symposium [media release]. 15 Jan 2019. https://www.eisai.com/news/2019/news201903.html. The ASCO Post. Lenvatinib mesylate approved in Japan for unresectable HCC. 2018. http://www.ascopost.com/News/58662. Accessed 26 Mar 2019.